Plans called for it to be a non-working vacation. But, a recent trip to East Tennessee's majestic Smoky Mountains produced more than a handful of notable things to take notes about. Our group was there as fall and its beautiful artistry of autumn leaves gave way for the first cold blast of winter with October's arrival. And nothing seems to go better on a blustery, cold winter's night than a piping hot cup of cocoa laced with a chilling "GHOST STORY" as Halloween 2014 approaches. Brrrr! ... and pass the hot chocolate. 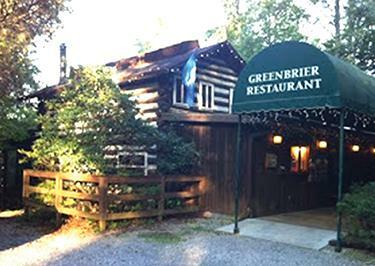 Our late-night spirit-laden tale's trail began at Gatlinburg's vintage Greenbrier Restaurant that goes back in mountain folklore to the late 1930s, when the original Greenbrier Lodge initially catered to wealthy hunters, travelers and vacationers from North Carolina to the East and Knoxville, Nashville and Memphis to the West. Jason, our table server, confessed he's never seen "Lydia," but that fellow Greenbrier work associates "have witnessed food items being knocked off food shelves in the restaurant pantry." "And some diners have seen Lydia, in the form of a petite young girl, on the stairs in this old building," Jason added while adding ghostly sprinkles to spice up our plates of succulent stuffed pork tenderloin, a specialty of the restaurant recommended by previous restaurant diner Holly Salmons of Smyrna. Meet "Lydia," a spirit legend that has been lingering and languishing around the Greenbrier for nearly a century now, according to a restaurant-printed history of her whereabouts dating back to the 1930s. "Today, the ghost of Lydia still roams the old Greenbrier Lodge, now our Greenbrier Restaurant," confirmed Becky Hadden, who owns and operates (with husband David) the regionally-famous eatery that clings on the side of a steep mountain cliff that Gatlinburg is known for. "Her spirit is often seen on the stairs of the second floor landing. Guests who eat here claim to see her small, sad figure wandering around from time-to-time." "Some fellow employees also claim to feel her chilling presence," server Jason served. Life to this spirit legend was born back in the mountain's mist and haze of time, when a woman by the name of Lydia reportedly stayed at the Greenbrier Lodge off of Highway 321 in Gatlinburg. "Young and in a love, Lydia was engaged to be married to a handsome young man who lived in town here," according to ghostly-printed history provided for tourists at the eatery. "On the day of her wedding, Lydia dressed in her long, white wedding dress, and went into town to meet her love at the church." But after several hours of waiting at the altar, Lydia reportedly returned to the Lodge. "Unable to overcome her anger and frustration at being jilted, she climbed the stairs to the second floor landing," according to the restaurant's spook-laden pamphlet. "She threw a rope over the rafter beam, and hung herself." "Several days after Lydia's death, her love was found dead in the Smokies, mauled to death by a big mountain cat." And this account spawned more mystery in East Tennessee's already-storied mountains. "The locals of that era said Lydia's spirit could not rest because of her unfulfilled love, and she had taken the form of a cat to seize revenge," our present-day source located high in the mountains accounted. And spirit Lydia's legend did not end when the big cat mysteriously killed her love. "A caretaker who lived at the Lodge many years ago was kept awake at night by Lydia's pitiful cries of 'mark my grave, mark my grave.'" Restaurant proprietor Becky served. "The legend goes that after many sleepless nights listening to her cries, the caretaker could take it no longer," Becky added. "He knew the spot where she was supposedly buried, so in the dark of the night he went down the hill below the Lodge to mark her grave. He never heard her cries again ..."
Server Jason accounted the restaurant does not charge extra for the sharing of Ghost Lydia's story.